If you suffer from bloating, gas or indigestion, you’re not alone. Gastrointestinal issues are a common problem in today’s society. While the symptoms of gastrointestinal issues may be uncomfortable and embarrassing to talk about, it is essential that you learn what’s going on with your body so that you can manage your symptoms appropriately. This will help you to lead a normal life, free of the frequent uncomfortable stomach problems that you may experience on a regular basis. IBS is a common, chronic gastrointestinal problem that affects the large colon. Cramping, abdominal pain and bloating, gas and diarrhea are common symptoms of IBS. Even though all of these symptoms can be disrupting to your life, they don’t cause permanent damage to your colon. IBS can usually be managed by diet, exercise and lifestyle changes. Changes that you can make include adding foods high in fiber or fiber supplements to your diet, taking anti-diarrheal medications as necessary, eliminating gassy foods from your diet and taking prescribed medication as required. GERD is a chronic digestive disease that happens when acid from your stomach (and occasionally bile) flows back into your esophagus. According to the Mayo Clinic, the backflow of acid irritates the lining of your esophagus and can lead to indigestion, chest pain, difficulty swallowing, dry coughing, sore throat, acid reflux and/or the feeling of a “lump” in your throat. While many people experience indigestion from time to time, if it is occurring frequently or affecting your life, it’s time to speak to your doctor about possible treatment options. Treatment for GERD is often managed with diet changes and over –the-counter remedies. However, for some people, these treatments offer minimal relief and advanced treatment including prescription medications and possibly surgery may be necessary for long lasting relief. Over the past few years, the number of people being diagnosed with celiac disease has been on the rise. Celiac disease is a gastrointestinal problem that occurs when an individual eats gluten. Gluten is found in a variety of foods including: pasta, breads, baked goods, etc. Diarrhea, abdominal pain and bloating are common symptoms of celiac disease. Over time, individuals with celiac disease may present with vitamin deficiencies because of decreased absorption. This can lead to complications involving the brain, peripheral nervous system, bones, liver and other major organs. There is no cure for celiac disease but individuals can manage their disease through changes to their diet simply by avoiding gluten. There are more gluten free food options available for people living with celiac disease. Vitamin supplements may also be necessary if your doctor finds that you have a deficiency. There are various factors involved in IBS, GERD and Celiac Disease and therefore treatment is multi-faceted. There are a number of prevention and treatment options that you can try to help relieve the stomach problems that you may be experiencing as the result of gastrointestinal issues that you have, including:. Managing stress – stress is a key factor in many chronic health conditions, including gastrointestinal issues. Stress causes hormonal changes in your body which allows the stomach to create more acid. An increased amount of acid means an increased amount of acid reflux and indigestion. Stress can also make IBS symptoms worse so it is important to manage and control your stress levels appropriately. Managing your weight – maintaining a healthy weight is an essential step in minimizing stomach problems, including indigestion. Gaining weight can cause GERD and can make indigestion symptoms worse. So be sure to exercise and eat healthy in order to keep stomach problems at bay. 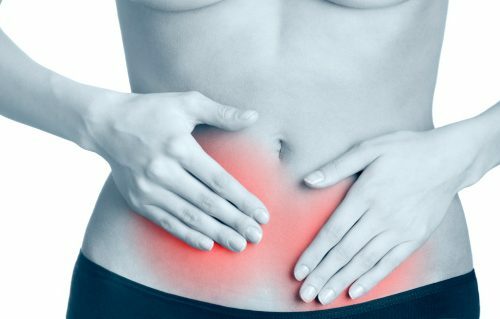 Avoiding food triggers – many gastrointestinal issues have food triggers that increase stomach problems and indigestion. Keep a food diary and once a trigger food is identified, avoid consuming it. Eating smaller, more frequent meals – this may help to control diarrhea associated with IBS and may also help to prevent indigestion associated with GERD. Quitting Smoking – smoking comes with a variety of health concerns and if you suffer from GERD, smoking can make your indigestion symptoms worse because it causes your stomach to produce more acid. Additionally, smoking decreases the ability of your lower esophageal sphincter to function properly which could allow acid reflux to occur. Kick this bad habit to minimize your GERD symptoms.